This is the ‘Wednesday Circle’ bag. In it I carry the excercise books and the small batch of materials that I use at the Circle every week. The bag is usually left in the boot of my car. 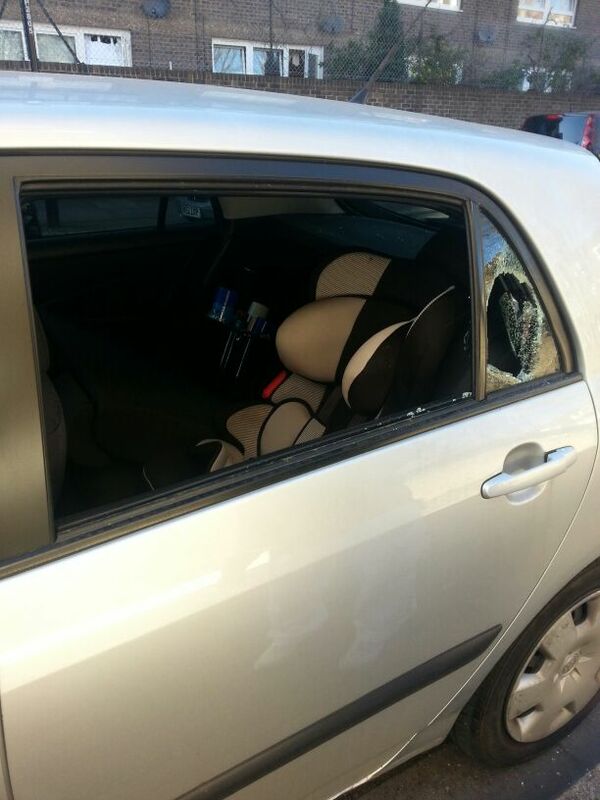 Last Saturday Night (15/03/14) my car was broken into. 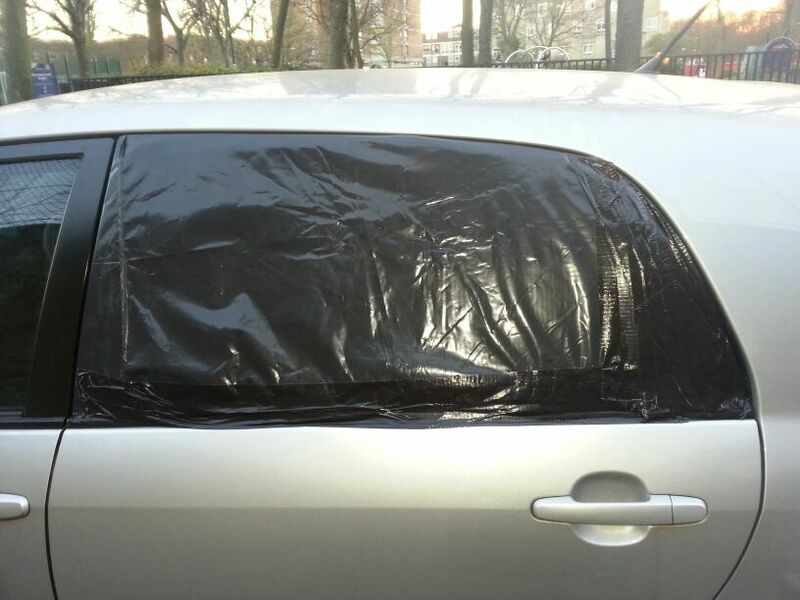 I discovered the break in on Sunday and upon inspecting the car I noticed that nothing had been taken. My SatNav was still there, as were all my CDs, my in car mobile phone charger and my portable car vaccum. It seems that the thieves broke in and must have been apprehended by someone and therefore left in a rush. There was however one thing taken that I didn’t realise at the time. I went ahead and boarded up the window with cardboard and black bags and thought about how to get the car repaired and what it would cost. The following Wednesday (19/03/14) I made my way to the Wednesday Circle as per usual. I got out of the car and went to the boot to get the Wednesday Circle Bag out. Guess what, it wasn’t there. I had another look just to be sure, and it was definitely not there. I thought for a second whether I had taken it out and left it at home. I didn’t think I had. Then it dawned on me, the break in that weekend. Those thieves must have taken the bag. My brother in law, who is one of the students at the Circle, was with me at the time. As we walked the short distance from the car to the Community Centre where the Circle is held, I told him bow the thieves had taken the Circle Bag and that we have lost all their work from their exercise book. I was pretty gutted as the kids do put in a lot of hard work taking notes at the Circle. Oh well, I thought, it is the Qadr of Allah. I walked into the Community Centre hoping to explain to the kids what had happened and that I would buy some new exercise books for them for the following week. I was planning to continue with the Circle as usual, the topic of this week being the Fara’id, Sunnas and Mustahab of Wudu. However, as I walked in, I saw the Wednesday Circle Bag on the floor next to the couches at reception with a little old lady sitting by the bag. The caretaker of the Centre was in reception as we came in. He saw me and asked if that was my bag. I told him that it was, assuming that I had left it behind the week before and he found it and kept it for me. I asked him where he found the bag. He said that he hadn’t, but that this little old lady had brought it in. We all then turned to the little old lady as she explained how she came across the bag. She said that she had found it outside where she lives on Queensbridge Road in Hackney (a good distance away from where my car was broken into) behind a set of railings. The bag looked important so she looked through it it to see if she could find any reference as to who it belonged to. It is probably worth noting here that there was nothing in the bag that mentioned any names or contact details of anyone related to the Circle. There was also nothing else in there to easily suggest that the bag was part of the Circle. For someone picking the bag up randomly it would have been difficult to ascertain who the bag belonged to other than to guess that it belonged to some form of a religious/Islamic class. 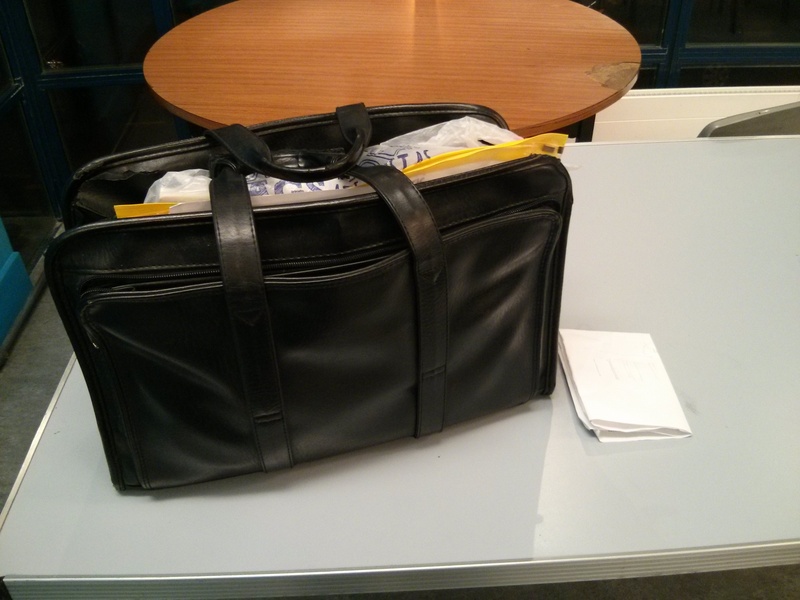 The lady continued telling her story and stated that she rummaged through the bag and found a letter in the bag. At the footer of the letter it stated that the letter was from the Wednesday Circle and mentioned the day, time and venue of the Wednesday Circle. From that she deduced that the bag must belong to someone from the Circle and therefore came on the Wednesday at 7:30pm to the Community Centre to return it to us. We were all amazed at how the only thing taken from the car was this bag, how this lady randomly found it outside her home, and how she went through the bag to find a footnote mentioning the Circle which she used to find us and return the bag to us. For us this was not just a coincidence, it was nothing short of a miracle. I thanked the lady profusely and then went on with the Circle. It was reassuring to know there are still good people out there who upon finding something in the street go the extra mile to find the owners and return the goods back to them. My only regret is that I didn’t take down the lady’s details, otherwise I would have sent her some flowers as a token of my gratitude. The fact that Allah returned the bag to us, for me, showed that there is a level of Acceptance from Him above of the Circle and the things we do. Those exercise books contained the hard work and notes of the students and I believe Allah did not want all that work to go to waste. Anyone who knows me well will know how much I care about this Circle. It was a Circle that I attended when I was a youth and now I am the one teaching in it. I have always said that I will try my best and ensure the Circle continues to run even if we only have one person attending. And we have kept our word and have continued to do the Circles week in week out even when it was only two students coming. May Allah guide her to Islam and accept this deed from her and make this a means for her salvation. May Allah bless the Wednesday Circle, those who teach in it, and those who attend the lessons. May Allah accept it from us and make it a means of good for us in the world and the hereafter. Thanks for the comment Imran and yes please, share with your family and friends.